Vivek Menon, Executive Director of Wildlife Trust of India (WTI), visited World Land Trust’s (WLT) project in Vietnam, Khe Nuoc Trong Forest, last week and discussed conservation missions and strategies with WLT’s Vietnam partner, Viet Nature. Vivek is no stranger to WLT project areas; last year he visited our partners in Armenia to help deliver a practical training course on preventing illegal wildlife crime. WLT recommended he speak with Viet Nature about their hopes to reintroduce the Critically Endangered Edward’s Pheasant (Lophura edwardsi) as WTI were involved in the reintroduction of Cheer Pheasants in India. Vivek has promised to return after Viet Nature has successfully reintroduced Edward’s Pheasant. World Land Trust and its overseas conservation partners form the WLT international Conservation Alliance, where collaboration and exchanges are encouraged to strengthen partnerships and enable organisations to learn from successful conservation models in different countries. World Land Trust regularly holds a Partner Symposium where directors from partner organisations can come together and discuss the successes and failures of various strategies. The last symposium celebrated WLT’s 25th Anniversary in the Royal Botanic Gardens, Kew, in 2014, and later this year a symposium will be held in Sierra Gorda, Mexico. 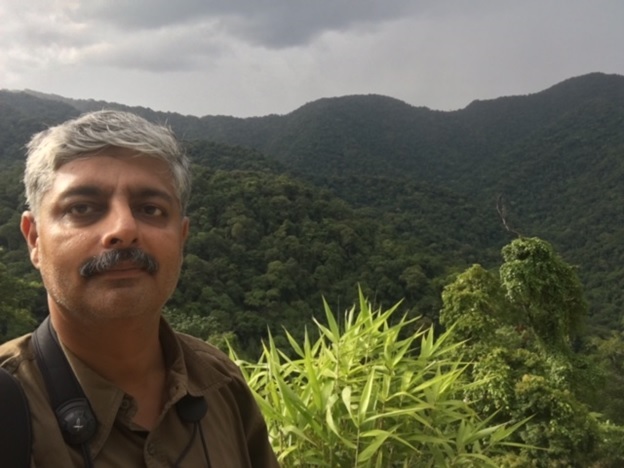 Vivek is currently concentrating his efforts on a mission to reconnect elephant habitats in India through the creation and protection of wildlife corridors around the country, with support from WLT, International Fund for Animal Welfare (IFAW), Elephant Family and IUCN Netherlands. Viet Nature is working on a forest conservation initiative to protect wildlife and enhance ecosystem services in Khe Nuoc Trong, 49,420 acres (about 20,000 hectares) of Annamite Lowland Forest under threat of logging and hunting.